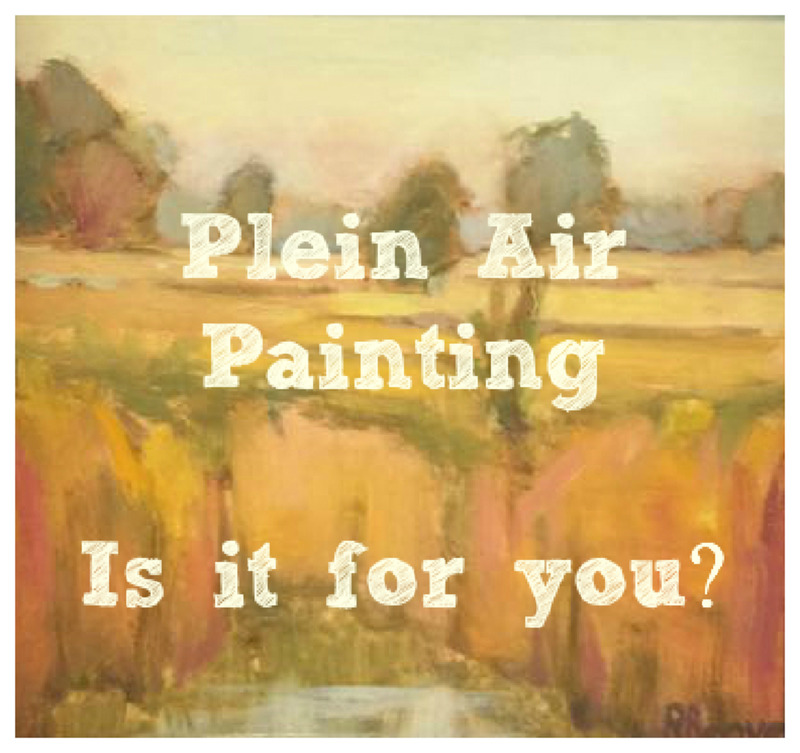 En Plein Air is a French expression that means in the open air. It's used to describe painters that work outdoors, immersing themselves in the landscape. In the last few decades, painting on location has become very popular. Many artists go paint outside daily, alone; others meet up with painting buddies. When the weather is nice, you may get to see painters anywhere there is a pretty view: metro parks, lakes, beaches, town streets, you got the idea. 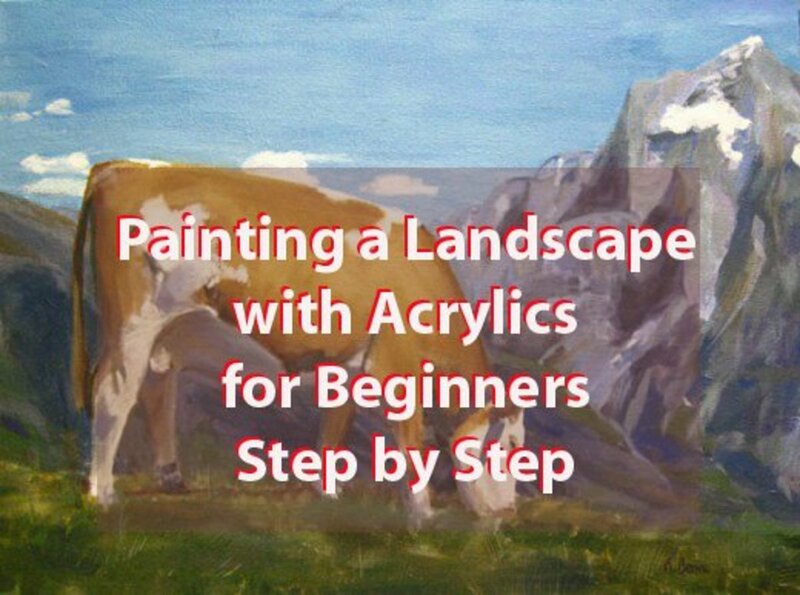 Many beginner painters join in the fun, often alongside professional artists that have been painting for many years. The phenomenon got so popular that some “purists” of plein air painting are now complaining that it’s becoming too widespread and accessible, almost too trendy. I’ve heard artists grumble that everyone and their mother are now painting outdoors. But those groaning are the minority. Truth is, the more the better. If more people appreciate art, embrace painting, and enjoy the outdoors, I don’t see how there could be anything wrong with that. To testify the popularity of the movement, there is a Plein Air Magazine, an annual plein air convention, and paint out competitions all over the United States. If you are used to studio painting, the first few paintings you do outdoors are probably going to be ugly. Just deal with it, accept the temporary failure. Your brain is rewiring, you are digesting a new load of information, and the problem solving and set of decisions that you have to do is quite different. It’s normal that your usual techniques don’t quite work in this different setting. It’s amazing how much you can learn from your mistakes. Take the failed paintings with a positive spirit, and forget about going back home with a great painting. Focus on the magnificent learning experience. 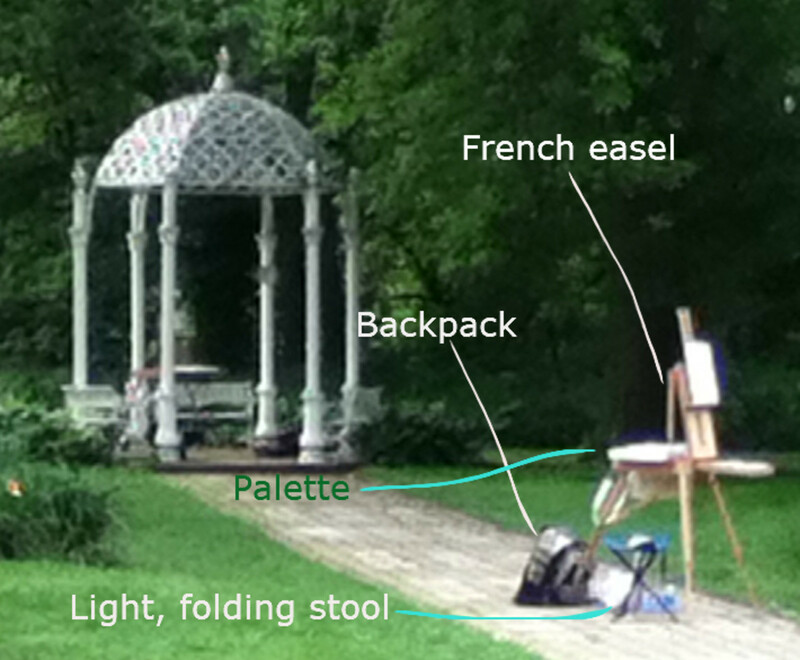 What Do You Need for Plein Air Painting? Let's get started with the advantages and the challenges of painting outdoors, and then we;ll move on to the supplies needed. 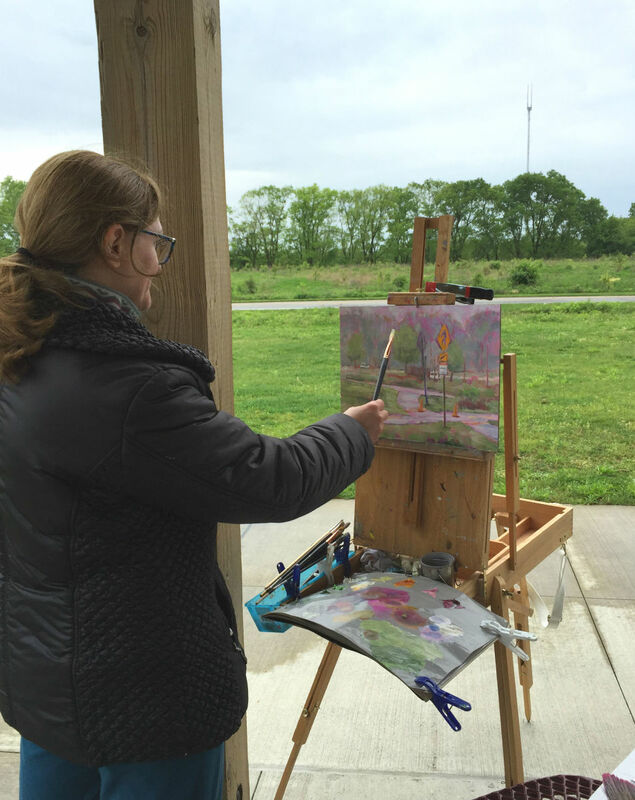 Painting en plein air has a lot of advantages. For starters, you are right there, you have the scene in from of you. You can take advantages of all your senses in reading and interpreting the landscape. With slight movements of your eyes and your head, you can observe depth, proportions, and object relations much better than on a still, flat image. Also, your eyes see better than a camera. There are many ways that the lenses of a camera change the image from what you would see with the naked eye. Colors and values are changed by the lenses; they changed even more from printing. You are able to study first-hand how light behaves in diverse situations. 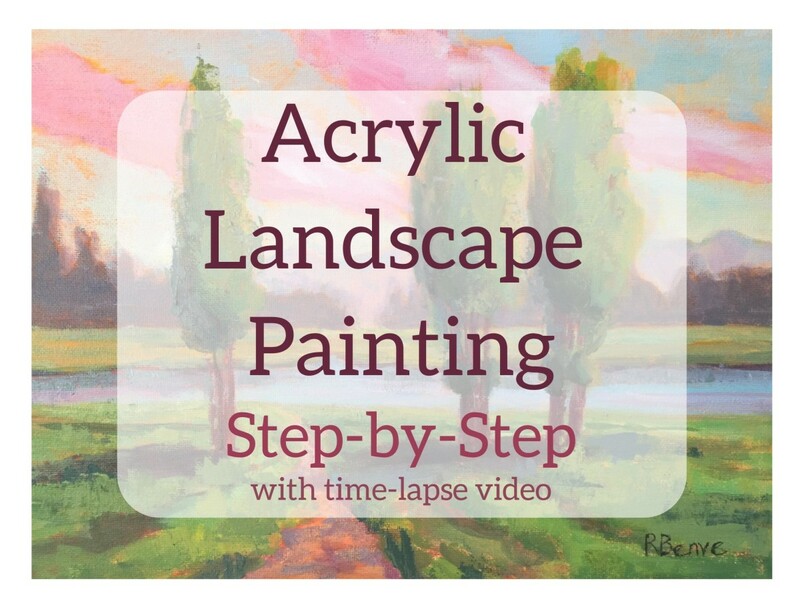 Plein air pushes you to paint faster, take quick decisions, and you have fewer chances to over-work your painting. You get to be outside, completely surrounded by nature (or a town in case of urban landscapes). On a sunny day, you can charge-up on vitamin D.
You get to enjoy the outdoors through all the senses, smells, sounds, temperature, sight, etc. There is no other resource so plentiful, ever-changing, and full of information than nature around us. Get ready to dive in with both feet and don't forget to bring your sense of humor. 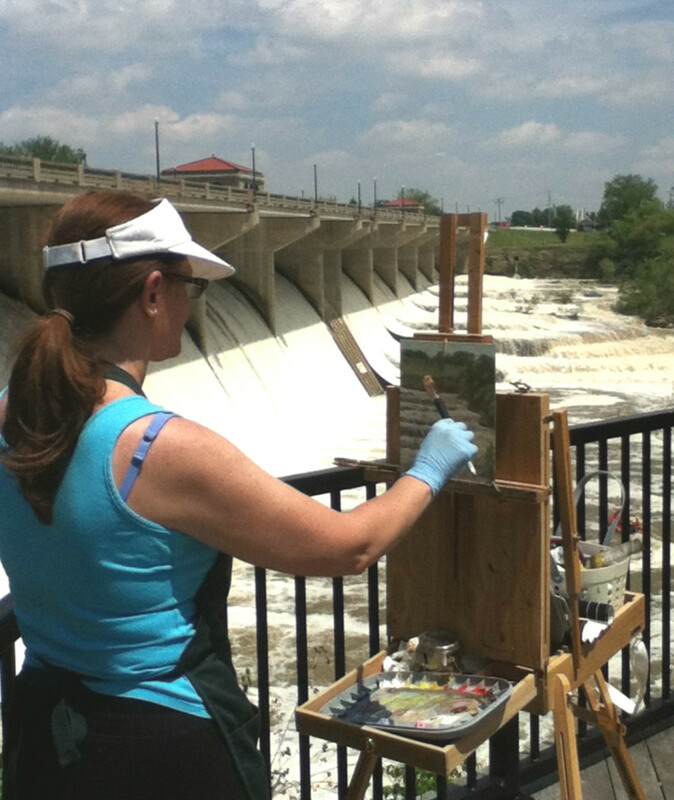 Have you tried painting en plein air yet? A painting can take a few hours to complete, and environmental conditions change a lot during that time span. You've gotta work quickly. First of all the sun moves and shadows change. Weather changes: you may go from sunny to cloudy, or from windy to rainy. You have to deal with things like changing light, scorching sun, strong winds, and sometimes rain or snow. Sometimes you get bugs or other animals coming too close for comfort. Often they end up tangled in the wet paint. Random walkers love to strike a conversation and tell you about all the artistic talent that runs in their family. Painting wet on wet, especially if you paint with oils and thick. might get tricky when you are not used to it. Acrylics dry at speed of light outdoors, bring a retarder, or at least a handy spray bottle to keep them moist. Extra challenges are faced by those with environmental allergies. If you suffer from those, don't forget your antihistamine. Carrying all your equipment, setting it up, and taking it down can be a challenge in itself. Keep your supplies minimal and efficient. (read more about supplies below). 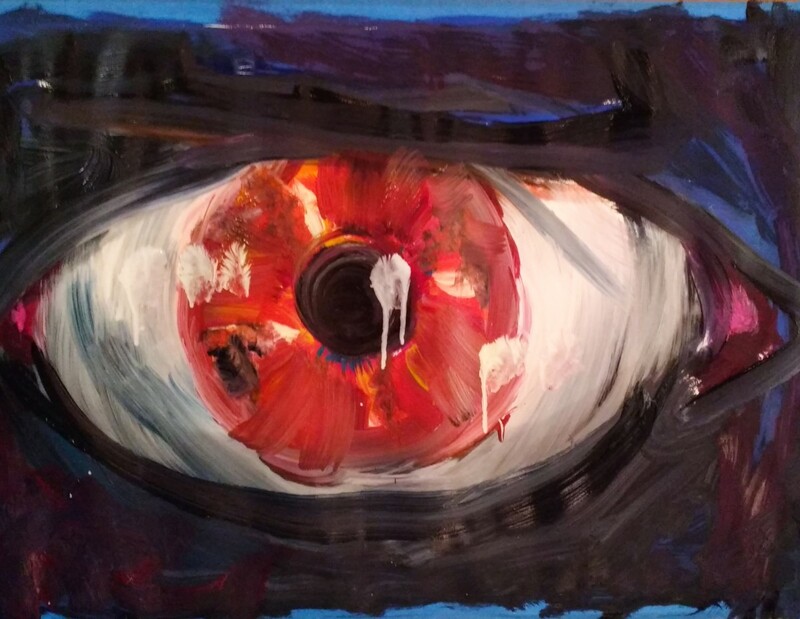 Painting from life is a wonderful way to learn how to “see”. This is true with any subject, as all still life and portrait artists know well. You learn a lot by painting a landscape while you are in it. However, while in still life and portrait life painting you can comfortably be indoors, in a stable environment, if you want to paint landscapes from life you’ve got to get out there, immerse yourself in the landscape, and embrace the challenge of rendering the ever-changing surroundings. 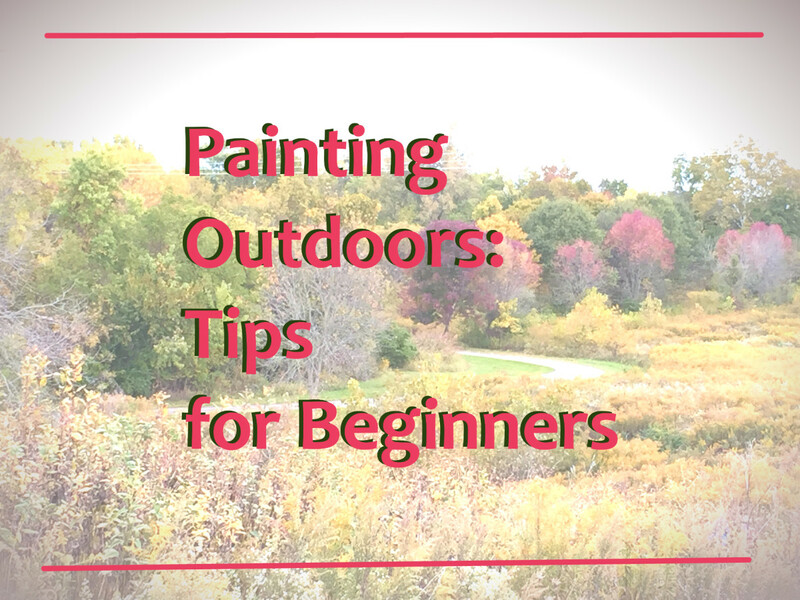 To fully enjoy painting out-of-doors, you need to be not only an artist but also an outdoorsy kind of person. Plein air painters have to deal with things like changing light, scorching sun, strong winds, bugs, random strangers looking over your shoulder, and sometimes rain or snow. Not to mention environmental allergies! With all the changing atmosphere and clouds, changing light and everything, you basically have to stick to your original idea. It's very challenging at times. When you are used to painting from photos and indoors, it takes some major adjustments to paint outdoors. But it can be totally worth the initial struggle. Painting on location gives the artist a plethora of great information about the scene, sometimes even too much. In fact, beginners can easily feel overwhelmed by the amount of visual data to process and sort through. Once you have gained the knowledge of how colors shift in nature, and you have so much experience outdoors that you know exactly how certain shadow and light conditions would look like, then you can afford to paint from photos again and you’ll be better at it because of all your experience painting from life, even looking at a bad photo. One cannot simply take nature as she is. The task of composing a surface and arranging the material before you requires a feeling for balance and visual weight. There must be a certainty in the placement of objects, as well as an ability to edit. Plein air has turned into a cool fashionable thing for painters. Among artists, it gets a lot of respect, especially from those that have tried and know how challenging it can be. I love it, but I know a lot of people that have tried it and have decided it was not for them. You don’t know until you try - more than once. 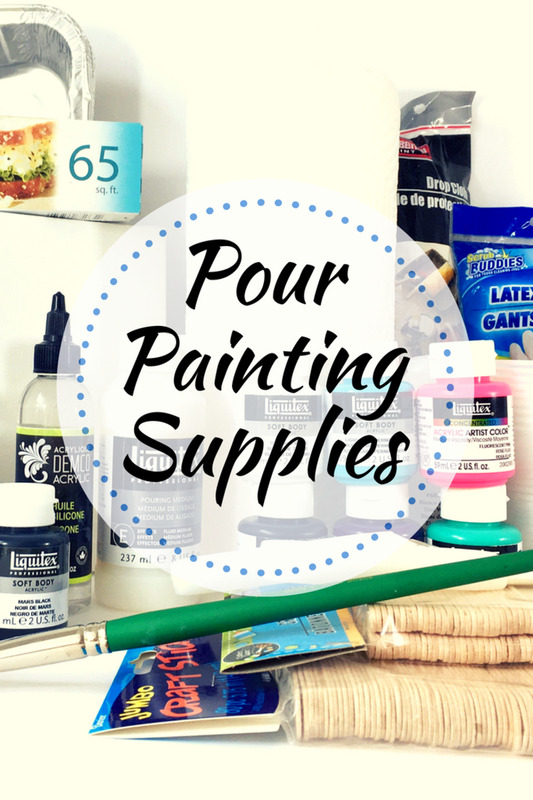 So you want to start painting outdoors, and you are wondering what you need to bring. Every artist seems to like a specific setup, and it may take a while to understand which one works best for you. Some supplies may be quite expensive. As you start, keep in mind the most important rule: keep it simple, keep it light. Easel - A support is needed for any surface you plan to work on, no matter your medium. A portable easel is a good choice, adjustable in height, so you can choose to stand or to sit. I like to use a French easel, other artists use pochade boxes on high-quality tripods. Those solutions are usually more expensive than the French easel. I did not find it worthwhile for my needs, but some brands you may want to google are EASyL, Open Box M, Sienna plein air, Guerilla Painter. 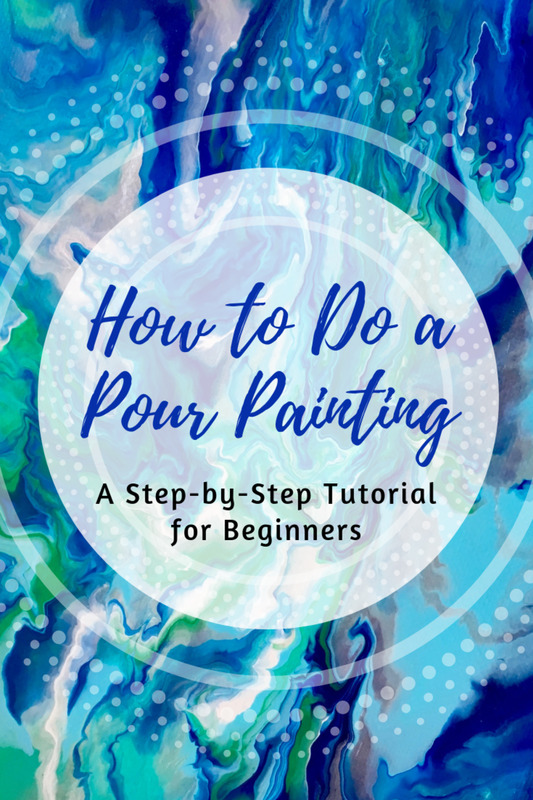 Palette - Painting palettes serve as the surface on which you mix your paint, and they are different depending on which painting medium you’re using. Not much different from the palettes that you use in the studio. I like to use disposable paper palettes, and I usually buy the gray kind, which helps in checking the value of the colors while mixing - everything looks dark compared to white. Solvent Containers - Very few paints are used completely alone and with no mediums, water or solvent mixed in. You have many options for carrying fluids and mediums without spilling them all over the place. As with palettes, which container you choose depends on your paint and hence whichever medium or solvent you plan to use with it. If you are a watercolorist, you'll need to bring along some water. I use oils, so I bring my solvent with me and I keep it in a stainless steel leak-proof container, however, I’ve seen many artists using a glass jar. Bag & Carrier – In theory, you could go plein air painting with nothing more than a French easel, but chances are you’re going to need a carrier for some supplies that don’t fit in the French easel drawer. Tote bags and backpacks are perfect for sketchbooks and small supplies. Carts and bins are great for rolling heavy items and large canvases across rough terrain. Seating - Maybe after a while, you’ll want to sit down and have a rest, or you may want to spend your whole painting session sitting. That's when a light-weight folding seat becomes invaluable. Extras: Visor, sunscreen, raincoat, water, bug spray. I like to use the Grey Matters disposable paper palettes. The gray color makes it easier to evaluate the relative value of the paint you are mixing. The fact that en plein air is a French expression, it’s not casual. This way of painting has officially started at the time of the French Impressionists. They were the first artists to leave the studio with canvas, paints, and brushes to render a scene from life, sometimes going back several times to the same location, to finish the painting. This “new” painting phenomenon has been made possible by the invention of the paint tube. In the past, when paints were mixed in the studio by the artist, they were very difficult to transport. The convenience of the tube made painting outdoors feasible and extremely practical. As much as I am very proud of my plein air paintings (most of them, anyway) I’ve got the impression that people buying art don’t really care if you have done it outdoors or indoors, in one session or in many. All they care about is to buy a piece that they love. I found that when I mention to a potential buyer that a particular piece was completed on location, that does not seem to make much of an impression. So, while a few years ago I may have dreamed of becoming a great plein air painter, now I am painting en plein air as a way to be outdoors and to learn more about painting. The goal is to improve my skills as much as I can, no matter where I’m panting. I came to the conclusion that painting en plein air is not the end goal, it’s the means to get better and better at painting. That's my opinion, anyway. How do you feel about it? Feel free to leave a comment below and share your experience or fun facts on painting on location. I paint with acrylics and would love to try plein air painting. Do you have any advice for painting outdoors with acrylics? The biggest challenges of painting with acrylics outdoors are created by their quick drying time. I've seen artists producing amazing work with acrylics outdoors, but it takes some dedication and determination. - Bring along a water mister to spray the paint on your palette periodically to keep it from drying. I spray the paint as soon as I squeeze it out, and keep spraying it systematically, even when I paint in the studio. You may also bring along some clear small containers that you can use upside-down to cover paint and trap the moisture in. - Don't work in direct sunlight. Keep your painting and your paints in the shade, either standing under a tree or shelter or using an umbrella. 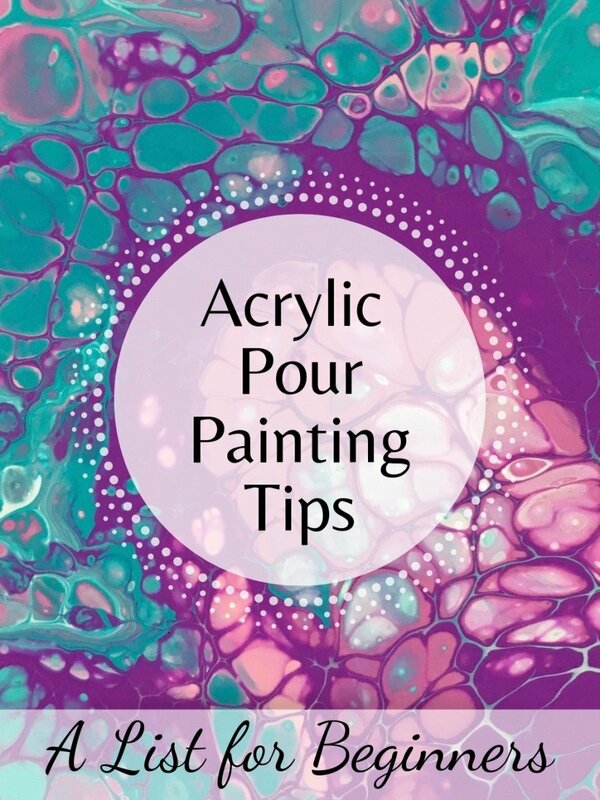 - Use an acrylic retarder and mix a small quantity into your paint. 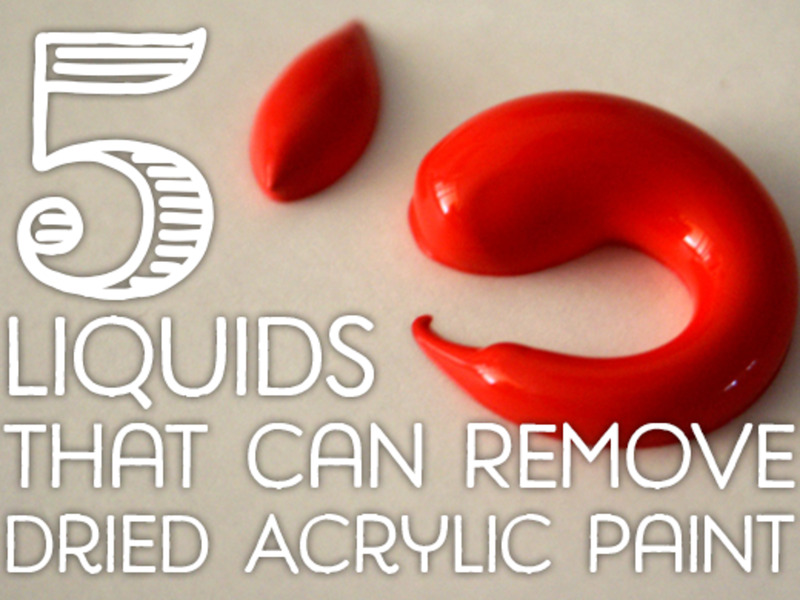 Be aware that it will make acrylic paint more translucent. - Keep your brushes wet so the paint doesn't dry on them. Bring along plenty of water to rinse the brushes and for refills - it will get dirty. - Try to limit the amount of paint that you squeeze out. - Paint quickly. The more quickly you can paint and the less time your paint will be exposed to the drying effects of heat, sun, and air. - Avoid painting during the middle and hottest part of the day when the sun is directly overhead and the strongest. - You may want to invest in some of the recently developed acrylic pants with prolonged drying time, like Golden Open Acrylics. They stay wet longer and can be mixed with regular acrylics. This is an interesting article that contains lots of useful information. I draw outdoors, but I don't paint en plein air. If I ever decide to, I'll definitely follow the advice that you've shared! Hi Bill Holland, thanks! It's great to see a comment from a facebook face too! :) I love your unique point of views and your sense of humor. Thanks for taking the time to comment! I learned so much from this, and it was exciting to see a Facebook face with an article on HP...thank you for the education. Oh, my goodness, I love your article Robie! I paint plein air with a group, and sometimes alone. I don't do it as often as I should but you inspire me. Thanks!